Enjoy a stunning 2 course meal from World Service for just £23.95 per person! Upgrade to 3 courses for £29.95. Set menu changes monthly. This is a very popular offer so booking in advance is recommended. Available evenings Monday-Friday only. Book online for free text confirmation or call 0115 754 1132. 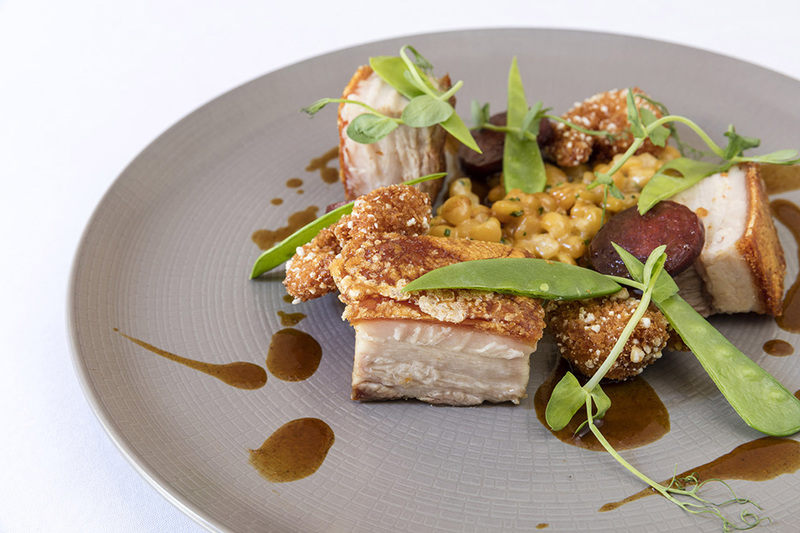 Enjoy a stunning 2 course lunch from World Service for just £19.95 per person! Upgrade to 3 courses for £25.95. Set menu changes monthly. This is a very popular offer so booking in advance is recommended. Available daytime Monday-Saturday only. Book online for free text confirmation or call 0115 754 1132. Enjoy 2 courses of one of Nottingham's finest Sunday lunches in a stunning setting for £19.95 per person. This offer is also available as a 3 course option for £25.95. Please note there is a £3 supplement charge on roast sirloin of beef. This offer is not valid during December. Book online for free text confirmation or call 0115 754 1132. Looking to host a special celebration with friends and family? The group party menu on offer at World Service is delicious and show stopping! These menus are available for groups of 10 or more. Please note for tables of 25+ a pre-order is highly recommended. Book online for free text confirmation or call 0115 754 1132. The beef had a quarter fat on two separate pieces. There wasn’t a satisfaction check during our meal. Otherwise, the waiting staff were friendly & good; & the food was enjoyable. Absolutely fantastic dining experience. From the second we entered the building we were made to feel welcome within a really chilled atmosphere. All of the staff are fantastic looking after your every need down to the finest detail. The genuine friendliness of the manager allows you to sink into a nice relaxed occasion. How can this be improved you may wonder? This is when the food comes out. Our party of four Practically all chose different starters and mains throughout the meal everybody kept announcing how good each mouthful was, with no dish being exempt. All of the plates were cleared of every bit of food. This was not down to small portions but to the beautifully cooked choices we had all made. This is a fantastic restaurant and we will be returning very soon. Thank you World Service! Great service. Good choices on the menu and the food was wonderful. Would definitely go again. One of the finest places too sit relax, take a drink and then enjoy the wonderful food. Fantastic staff always there to help. They make you feel special at World Service. The service is excellent and there is great attention to detail. We opted for the fixed price lunch which is excellent value. My mackerel starter was delicious. I opted for the halibut main and the fish was cooked really well. Not sure about their take on lyonnaise potatoes with onion jam - it didn't go at all well with the creamed leeks. Needs work. I would happily go again. Over all a relaxed and enjoyable lunch. Service was very well put together, our waitress was very tentative, as I would expect. Food was rather uninspiring, although I appreciate we ate from the set lunch menu, I would have enjoyed slightly larger portions. When the most impressive part of the meal is the bread, something is going amiss; none of the mains jumped out with any sort of Wow factor. The service was excellent with very professional and friendly staff. The food was also very good. The only negative is that I felt cold in the restaurant. We've heard a lot of good comments about World Service and expected a fantastic meal and ambience. We were not that impressed; found the place dark and dismal with no atmosphere. Excellent service and delicious food. Great Value for Money. As always the food is wonderful and the service is great! Thoroughly enjoyed our meal. The service was excellent and the waitress was very attentive. The food was exquisite, will definitely be going back. Something special! Great place and food, will be going again. Fabulous vegan options, tasty and unique. Lovely atmosphere! Will definitely be going back again. Very good service & meal was excellent. Excellent food and service although the venue needed a deep clean, lot's of cobwebs everywhere!! Great restaurant for special occasions. Food was very tasty and interesting. Something new. Service was wonderful. A fabulous night and thank you to all. This was my first visit to World Service & I was impressed. Service was very personable & the restaurant is stylish. Ideal for a special occasion. Lovely food and fantastic staff. The presentation and quality of the food was world class at World Service. We could not fault the 3 course lunch we had. Excellent! Attentive service and stylish setting. A very decadent Monday lunchtime! Excellent meal, excellent service- very professional and good value for money. An enjoyable and interesting mix of European and oriental cooking! We felt special and looked after, the barman came over and explained some of the drinks and we were impressed, great drinks. Food was absolutely delicious and service was excellent. We ate from the set menu which was good value. Highly recommended. Top service and great food as always. Great food, good service. Loved it! Excellent service with excellent food. Will definitely return. The meal was excellent, as was the service, and we were the last diners. At no stage were we hurried or made to feel rushed. Perfect birthday occasion, staff were all excellent and aware of dietary needs in an unobtrusive way. Food, ambience and service could not have been better. We will be back! Thank you all. We booked world service as a last minute birthday celebration for my husband and I am so pleased we did. Everything about our evening was perfect. The food was amazing, I am lactose intolerant and their new menu with vegan options worked perfect for me. The staff are friendly and professional and ensured that we had a truly great experience even down to putting together a birthday dessert for my husband. I can’t rate this restaurant enough and will definitely be returning very soon. Visited again for an anniversary treat, however, sad to say not the special experience we expected. Pre dinner drinks did not arrive pre dinner and lunch with the exception of the beef was ordinary to say the least. I’ve lived in Nottingham for 20 years and can’t believe I’ve not been to this restaurant before. It’s a gem, tucked away on a quiet street we felt like we were abroad. It’s lovely and the staff are great. The meals are clever, wonderfully presented - not being a culinary expert they seemed quite experimental to me. I loved it, I was introduced to ‘new’ vegetables! Went here for a birthday meal for my husband and couldn’t fault it. Beautiful food and great service. Lovely glass of Merlot too! The food was very good. We started with cocktails which were great. We really enjoyed the rose wine. A wonderful night on our 21st anniversary. Enjoyed our visit and the food was excellent. Fantastic, the service was amazing, super attentive from the moment we arrived. Great venue, stunning food and the wine list is superb! This is my favourite restaurant outside of New York! We had a lovely meal and cannot wait to return again when we have an opportunity! It was a delicious meal with attentive staff. Bread was salty but we still cleaned our plates. We both had the fillet steak and it was delicious and we enjoyed every bite. The cost was high and I guess that's the way it is to fine dining, but could only afford this for a special occasion. My water glass was constantly topped up which was a nice touch. Fantastic food, great service, helpful and knowledgeable staff. All in all a fabulous evening. We had Sunday lunch. The food was lovely and the staff were great! An excellent meal, I took my mother, I have taken her to other restaurants previously of the same calibre but this is her favourite, the atmosphere was relaxed and pleasant, food spectacular and service excellent as usual! Well done! Lovely meal and great service and a special birthday treat for my daughter. Lovely meal and great service and special birthday treat for my daughter. The food was exceptional. A pleasant surprise was the superb wine at a relatively modest cost - South African Chardonnay. Beautiful meal in awesome surroundings, just loved it. If you want perfectl cooked food, in a beautiful and warm ambient setting served by knowledgeable and attentive staff - look no further. Good food, really attentive service in a nice relaxed atmosphere. We had a great time at world service. The food was lovely and a it was a very good price for the set menu. All the staff were very helpful and friendly, especially the bar staff. I took my little boy and he had a special orange juice cocktail with umbrellas and fruit which he loved! There weren't many others in there being a cold Tuesday night but the staff were very attentive and pleasant and the food was excellent. Many thanks World Service- Food fabulous, service a perfect balance of discretion & assistance, thank you will be back! Had a great birthday meal here last weekend with family, easy to book, clear confirmation and a nice choice of seats in the restaurant. Food was excellent, even tho we chose to eat off the set March menu there was still plenty of choice and still high quality presentation and service. Would definitely recommend! Absolutely beautiful meal. The service was fantastic, we both were made to feel very special. Lovely food, impeccable and friendly service, lovely relaxed ambience. Very enjoyable Sunday lunch with friends and the fixed price 2 course Sunday lunch was great value for the quality of food. Wonderful! Beautifully presented and delicious food. We’d booked for the Sunday menu which was good value for money. We’re already planning a return trip to sample the a la Carter menu. Highly recommended for a special occasion. Delicious food and excellent service. We shall visit again. A fantastic birthday experience for a special friend who had never visited the venue before, neither had the other guest. The food was excellent, service exceptional and the ambiance quiet and relaxing. We weee not hurried and the staff were always on hand to serve us. Fantastic service from start to finish. Food was good but not as good as I expected it to be, especially for the price. Cocktails were beautifully presented and coffee was excellent too. Excellent service, fabulous food - awesome experience! Beautiful food, eloquent service, what more can be said! Beautiful venue and great service. We will definitely be back. Great welcome when we arrived, a lovely cosy fire to sit by and have a drink before being shown to our table, food excellent as always. Definitely booking again early in 2018. A lovely meal as always with excellent service. I went with a small group of friends and we were able to relax and enjoy lunch without fear of being rushed so that our table could be used again. I can highly recommend World service in every way. Delicious food, great atmosphere, and fantastic service provided with good attention to detail! Excellent time, food was delicious, service and banter with waiters was great, definitely coming back soon. As always, great food and service at World Service. Took my wife there for lunch on her birthday in midweek, the reception and service we received was superb. Faultless. Great food on a well priced set menu. Great service and food, were a little busy, which resulted in a short wait in some areas but the team were very attentive throughout this. This has got to be one of the best restaurants in Nottingham, excellent food and impeccable service in a beautiful setting. Set menu lunch. Excellent value, food, and service. The pork was a little under cooked for my liking and this was quickly sorted. Great location great service excellent food! What more can you ask for? Even presented our friends with a special anniversary dessert. Excellent as always. The Sunday meal deal is fab value for money. Excellent meal in a lovely setting. We would highly recommend the set Sunday lunch menu. It would be hard to beat this excellent deal anywhere! The service was very efficient and the cocktails made it a special day time treat! Thank you World Service. Fantastic meal as always! Service couldn’t have been any better. Great value for a two course meal. Would recommend this fabulous restaurant to anyone...love it! Had a wonderful lunch yesterday. Thank you. Fantastic food, place and service, can't wait to go back. Thanks to John and his staff! The whole experience was amazing at World Service, as always. Dinner and service impeccable as always. Wonderful evening celebrating our anniversary at World Service! Fantastic food, with amazing friendly and professional service. Food was prompt, fresh and full of flavour, would recommend to anyone. With excellent choice of wines, and knowledgeable bar staff to advise. Food always great they can definitely cook. In 13 years nothing has changed in decor or ambience. Service wasn't a good as it used to be. We waited a long time for our order to be taken even when I said something there was no acknowledgement. Strange attitude from our main waiter too. We did enjoy the luchtime special. Couldn't fault the whole experience from booking to confirming, from arriving to eating to leaving, great staff, nothing too much trouble! Seemed a bit pricier that our last visit but the quality was still excellent! Wife was a little miffed when the sommelier went to pour a glass of wine and water dripped off the bottle onto her food. Ambiance and service was a little below par but maybe it was because it was a Wednesday and not very busy? This is my go to restaurant for fine dining in lovely surroundings with excellent staff service and a smiling face. The set menu is truly excellent value and you can pay more at eateries with poor quality food. Fantastic, every course and cocktail aperitif, and both wines were spot on. 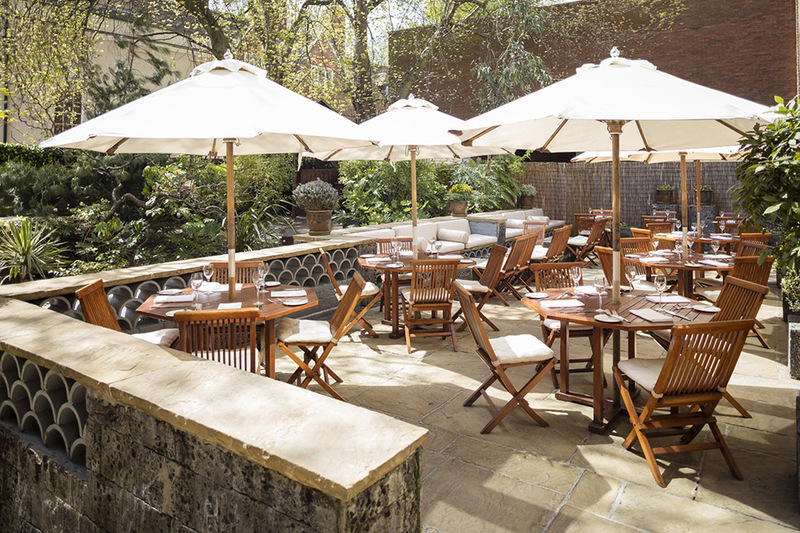 Lovely and restful outside in the garden, and bustling and stylish without being too loud inside. Friendly service a great place to celebrate! Excellent all round at World Service: booking arrangement, greeting, ambience, food and service by Louise. The perfect place for a celebratory meal. We chose the two course and 3 course set meals. The portions were generous and appealingly presented. A Monday lunch birthday treat at World Service. Lovely sunny day, fine house Prosecco and wine. Had the fixed price menu, but salad and vegetables are extra cost. Meal for two and 2 glasses came to £69.00. Busy graduation day, so constant change of servers but service mostly prompt. Outside was relaxing on a fine sunny day. World Service is a real gem. We had an excellent meal in lovely surroundings where staff were friendly and helpful but not overly present. I have eaten here before but for my son, who lives in Luxembourg, it was his first visit and he was very impressed. Lovely! Waiters attentive but not overbearing. Food was delicious. Great meal lovely atmosphere and the staff couldn't of been happier to help, was a amazing night perfect for my partners birthday! Wow - the most amazing food and service! Will definitely return. Another superb lunch at World Service. Staff, food and drinks, Second to none in the city. Thanks, till next time. Excellent experience at World Service! We knew we should expect a great meal and we were not left disappointed. Attentive but not overbearing service. Can't wait to visit again! All excellent. The staff were particularly good! Excellent evening at World Service with delicious food served by attentive and polite staff. Went to celebrate my husband's 65th birthday and it did not disappoint. Thank you for a lovely evening! A Michelin restaurant in the historic centre of Nottingham close to the Castle. 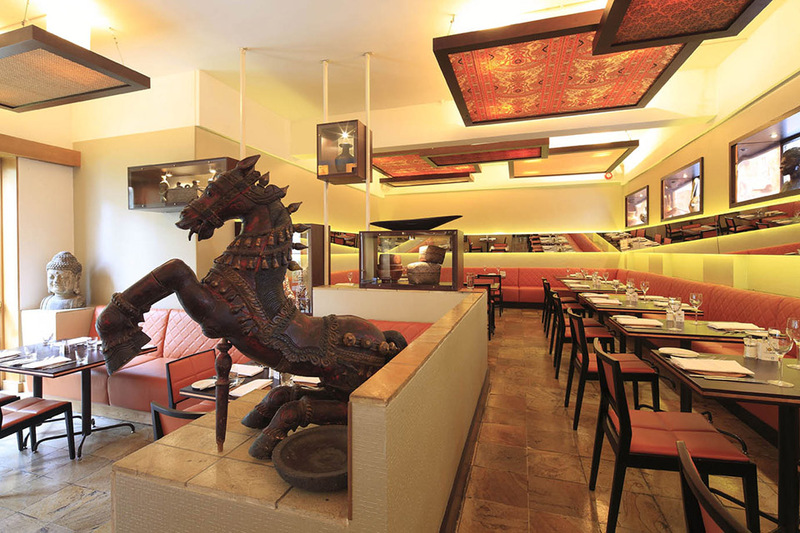 A spacious restaurant, the atmosphere grabbed you as soon as entering. The welcome was slow in coming (this was at the end of a busy Sunday lunch service) but friendly. Will revisit to sample the A la Carte menu, next time. Service was unhurried bordering on slow. Prices especially drinks were fairly expensive but the food was of good quality and well presented. The food great and the service excellent but, despite of being a high standard restaurant, I still found it a bit pricey, specially about drinks. Lovely lunch but somehow lacking in atmosphere - wouldn't say don't go but equally wouldn't rush to recommend. Disappointed. Always been good previously. The Sunday roast was the dinner Ike in this occasion. Burned stuff. Cold stuff etc. Slow service despite not being busy. Can't review the restaurant without reference to the cost and the ambiance. Although no general issues with the food or service I expected far more. This for me should be top league with a wow factor and didn't deliver. Give it a try and make your own mind up. Food is excellent at World Service. Housed in a protected building, it is cosy. Truly fine dining, though food is served quite slow. The food was generally good at World Service (with a very good chicken ballotine), but the setting was very festive and inviting, with lovely service. A very novel take on a Bloody Mary, too! Excellent meal! Shame about the service charge. Would prefer to leave a tip. Excellent service and ambience made this a memorable birthday dinner. The food from the set menu was very good with minor exceptions. My vegetarian noodle dish was good in parts. The egg was poached to perfection, the ingredients, herbs and spices were pleasing but the noodles were stodgy, unfortunately. Great deal on the Sunday roast at World Service, tad overpriced on the A La Carte. Fantastic meal, great service and really felt like a special occasion, perfect. Restaurant is very good, food and service excellent. Will definitely use it again. 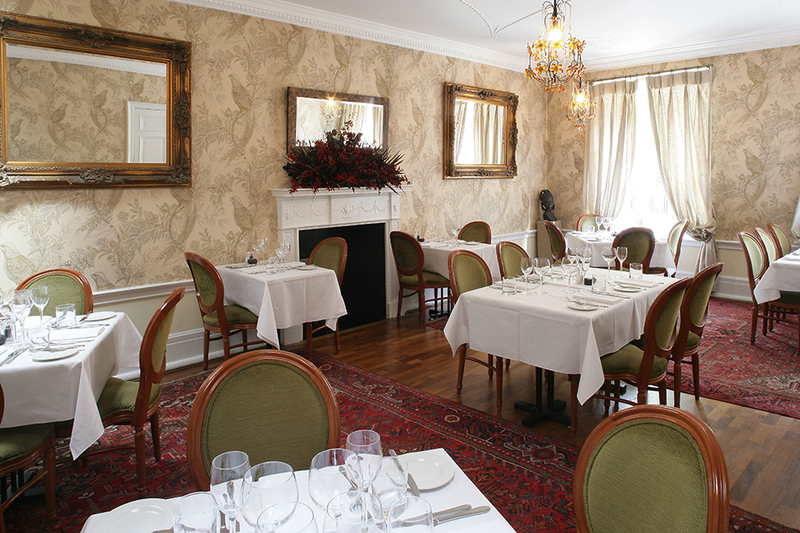 The set menu is fantastic value at World Service, delicious food and friendly service. Can't wait to go back! Excellent meal and service was good however no ambiance in the restaurant area that we were put in. I would of preferred to stay in the main bar area where we've always sat on previous visits. Would still go back to World Service again as food is always good and lovely staff. Good service, good food and wine - a very pleasant evening. Friendly environment and pleasant food. We had the Sunday lunch which was reasonably priced. Nothing to shout about. But I hear that in Nottingham it was the place to be seen! Absolutely delicious meal at World Service. Great service apart from forgetting to serve our wine. Other than that very happy with whole evening. Had a lovely meal to celebrate sons birthday in the dining room which is much nicer than the upstairs bar dining area. Staff are attentive without being intrusive. Brought my son a birthday plate with chocolates and candles on which was a really nice touch. Pre dinner drinks are somewhat pricey which is the only downside. Lovely food and a great venue. Always brilliant, my favourite restaurant in Nottingham without a shadow of a doubt. The food is interesting and beautiful, and different choices every time. The only place where I would never quibble the automatic service charge on the bill - I don't normally like this approach but the service is so good here that it doesn't bother me at all. World service I must say is the best place I've eaten for a long time. The whole experience was just amazing. Food, service and atmosphere! Food was incredible, the service was fabulous! First time I have been went for lunch with two friends at World Service. It was lovely. The food was beautiful, they catered for allergies really well and with no fuss and the seating in the door area was just like bungee in the continent, loved it. Service excellent and value for money, for a posh place it was a good price. Definitely want to go back in the evening. 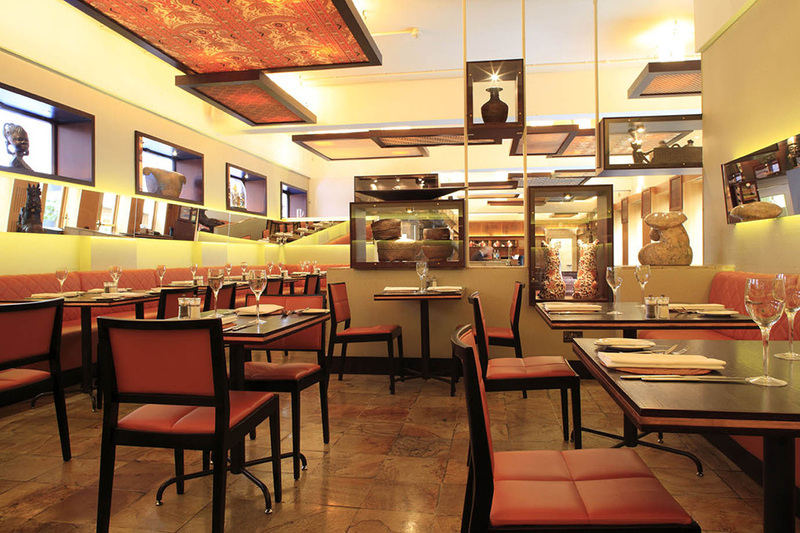 Excellent atmosphere and attentive yet unobtrusive service. Wonderful food with amazing presentation. Only given 4 stars for food because there is limited choice for vegetarians - generally only 1 veggie starter and main which means no choice for us! We ate from the 'Al la Carte' menu at World Service and loved the choices. We both thought the food was excellent. Service was very attentive, but not over bearing. For a Tuesday night it was relarively busy and there was plenty of atmosphere. Enough space between tables, comfortable and relaxed. Yes it's not cheap, but when you're treated so well and the food is to die for - it's well worth it! Excellent service, lovely place; the food was really nice too. The only balancing comment I'd make is regarding portion size which could have been more generous. Overall a great place I'd recommend & visit again. There is never a fault with my World Service experience. Yesterdays meal was a present for a friends birthday. Amazing food yet again and the 'Sealed with a Kiss' cocktail is the best cocktail I have had! Very scrumptious meal and pud cooked to perfection. Waitress very friendly. Did find the toilets a little on the small side, door banging the wall when entering and leaving but overall very nice. I have visited World Service on many occasions but I am now residing in Derby. It was well worth the effort to visit and eat your wonderful food with your super welcome and gracious staff. I won't drink and drive so the effort we went to, with the two buses we had to catch to enabled us to imbibe your lovely wines without worry. We will visit again and won't hesitate to recommend to any of our friends to do the same! What a lovely oasis in a very busy world. It was so lovely to sit outside in the sunshine whilst our table was being readied. The menu was quite eclectic and bursting with flavour. Both the wine list and cocktail list were fantastic. Lovely 3 courses. Fresh bread and good price. Excellent for my wife's special birthday. Lovely cocktails. As always, World Service served up a delicious meal. The wine list too is eclectic and excellent value. The service is second to none: attentive without being obsequious. Altogether, a thoroughly pleasurable experience! Very tasty food at World Service, great value for money. Drinks a little on the pricey side! Had a fantastic time at World Service. The staff were attentive without being pushy. The food was awesome!! Will definitely be returning soon! The service was exceptional, as it was for a special birthday. They treated us really well, food and ambience was superb. Very fine food delightful atmosphere attentive staff expensive but worth every penny the perfect end to a long hard week we can't wait to go back. Friendly staff, lovely food and ambience. Excellent food and service. However the lighting was just a tad too dark - I would have liked to have seen the wonderful creations in better light. Could not fault the food otherwise! Really good service and nice food. Excellent meal and the staff really go over and beyond to make your dining experience perfect. A great choice for a Sunday meal with friends and family. World Service was first class in every way. Flavours are amazing at World Service. Service outstanding with perfect attention to detail! Delicious pigeon followed by venison, in a very cosy welcoming environment. World Service is back on form! Wonderful meal for my husbands birthday lunch, food excellent and the service was professional and with courtesy, thank you. I went with friends for Saturday lunch and had the special lunch menu of two courses for £14.99. The starter and main were absolutely delicious, and the portion sizes generous for fine dining food. There were also some good value wine choices available. I added a dessert for an extra £3.00, and chose the panna cotta. This was a little disappointing as it had too much gelatine - missing the famous 'wobble factor'. My only gripe was that the bar staff couldn't cope with the pre-drinks order when the party ahead of us chose cocktails. We waited over 15 minutes and I ended up cancelling the order. Suggest they either don't offer cocktails or ensure allocate more staff. All in all, it was excellent value for money and I would definitely go back. Service was excellent very attentive and well informed. The food was mixed, the fish was a little dry and the curry a little lacking in flavour. Very nice ambience but the food lacked imagination. A very good meal at a price worth paying. It is a must of the Nottingham dining scene, if you haven't been I would urge you to go. I've been twice now and have been very impressed on both occasions. Amazing food and top quality service. There was a lovely atmosphere in both the Lounge Bar before the meal and in the restaurant area. We used the 20% January offer, on top of the January set menu so it worked out really good value for money - will definitely return! I had high hopes for World Service but I just found the experience OK, not wow. Service was, great food was just OK. The dining room was small. We had the 2 set menu meals for 19.95. Wine and a cocktail. Took my partner for lunch for the first time to World Service. We thoroughly enjoyed the whole experience. The wine waiter from Slovenia was very nice & the french waitress was very sweet. They seem very well trained in customer service. It was nice to see the restaurant busy mid week at lunchtime & the food was delicious & great value on the set menu. Service was excellent and so was the food. We had a fixed price lunch which was very good value. Would definitely go again! Superb food with great service at World Service! The food was excellent and enjoyed by our whole party. The service was very attentive without being in your face and the ambience of the place was fantastic. I would highly recommend world service for any occasion and is good value for money as well. Lovely meal, but was seated in the dining area to the left of the bar, which felt slightly like a cheap buffet restaurant setting, but a lovely meal. Service was excellent and attentive, without being overbearing. The food was good but I was a little disappointed with my selections, especially the sea bream (wife faired better and her chicken main looked amazing). Consistently good value for 3 course lunch of this standard. Lovely food if on the small portion size at World Service. The Christmas set menu was good but we ended up spending more on the alcohol! Brilliant service and fantastic food in a wonderful environment! The staff at World Service are friendly and welcoming and the service throughout was great. I would highly recommend World Service to anyone wanting great food in perfect environment. Fantastic food and great value for the set meal. Would highly recommend World Service for a special occasion or a nice treat. The food is of such a high standard and the presentation is brilliant too, if you're a big eater don't expect to be full after as with most high end places the portion sizes are not huge. Fantastic meal at World Service with some amazing cocktails, plus a lovely bottle of South African white wine! We had the veal and hake for mains which were both great! The food and the quality of service is excellent at World Service, though a little expensive for the evening menu. Have not visited World Service in a long time but as always, it seems to deliver. The food was excellent and imaginative - my pigeon wellington was divine, as was the pork with scallops (all worked beautifully). The wine list is always excellent, needs a few more good whisky options though! Really like the ambience, design and attentive yet discreet staff. And the set menu deals are really good if you can't wait until pay day for the a la carte! A very enjoyable evening at World Service and the food was delicious. The wait for a drink in the bar was longer than it could have been, but overall very happy. The staff at World Service were efficient, discreet and friendly. The set menu lunch was plentiful and delicious and the same can be said of the wine list. The garden area was particularly lovely on the sunny day that we visited. Overall, I would definitely come again for lunch. World Service is a lovely restaurant summer or winter. Food excellent, not cheap but absolutely worth the money. Second visit to World Service and we cannot fault the meal it was fab! The service was very good we did not have to wait, food was very tasty and was good value for a good quality meal. We will visit again soon. Thoroughly recommend World Service, exceptional service, good quality food. Food was excellent. 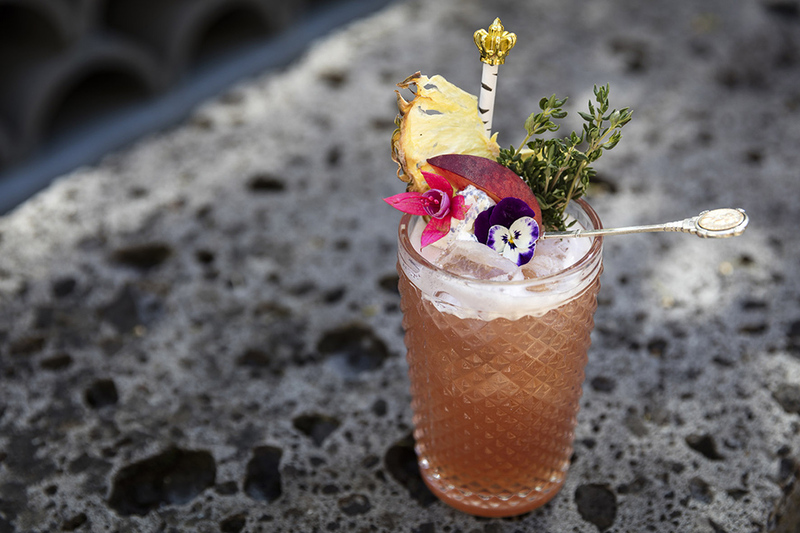 Catered for our every need, including creating a cocktail to suit our tastes. Will definitely be returning to World Service. Great food, great service, great value. Excellent meal all round at World Service. The finesse of the cooking at World Service has deteriorated significantly over the past few years. Dishes often lack flavour (pork textures), don't come together as a whole dishes (venison wellington), or simply do not taste pleasant (halibut with a very thick fishy cream sauce). I have not been here for 18 months due to the drop in quality, but thought I would give it another try this week, only to find the standard has dropped even further. What a shame. No wonder it is no longer listed in the Good Food Guide. Truly an exceptional restaurant that lives up to the reputation around it. World Service always delivers! There is normally a petit something that niggles us we when visit here, but not this time! Despite our usual petit niggle, the food is always fabulous. You get what you pay for! Treat yourself!! Been to World Service several times and have always found it lives up to our expectations. Staff is professional but relaxed, food is of good quality and well presented, and the establishment itself is welcoming and stylish. Particularly nice for lunch during the weekend, after a good shopping experience! This was a very nice restaurant for a celebration lunch. The 6 of us agreed that World Service generally lived up to its reputation as a reliable provider of good food in Nottingham. Most of us chose the set evening menu (available Mon-Fri) of 3 courses for just shy of £25. We agreed that this provides good value with a choice of 3 dishes for each course, including a veggie option for both starters and mains. My warm starter of smoked haddock with a white cabbage and apple salad was tasty enough and the 3 of us who chose the main course of a Barnsley chop accompanied by olive mash and some type of tomato concasse also enjoyed it, though there was quite a variation in the size of the chops. Perhaps chef needs a word with his meat supplier? A dessert of pineapple with ice cream whose flavour I can't remember was unremarkable. There is an extensive wine list, with some interesting, good-value choices to be had at the cheaper end for those who are prepared to be adventurous. Service was friendly enough, though a little lacking in polish. For example, we had to wait quite a time for our orders to be taken, but then the staff seemed to want to hurry us later on in the evening. As always, you cannot fault the service. We had one of the separate rooms which was great and was perfect for the occasion at World Service. Food was lovely. Great service and good food at World Service. Excellent as always, simply cannot fault World Service Restaurant. The food is beautiful and the staff are so accommodating and friendly yet utterly professional. My favourite restaurant by a clear mile. One minor flaw was the lighting which we would have preferred to have been a little brighter (we were not in the main room but in one of the other lovely rooms) as found it difficult to check the wine and actually distinguish the food components on the plate. However, as always food was delicious, service superb, staff friendly and helpful describing the menu. Great restaurant and one of my favourites. Went for a birthday meal at World Service and the staff were very good at making the night special for us. The food was high quality and well-presented and the atmosphere was extremely classy. A good dinner all round! I have now been here several times, both lunch and evening. The food and wine are always good, if not outstanding, but perhaps most importantly, the staff are always more than polite and pleasant. They always make us feel welcome, even when they are extremely busy - which given this restaurant's reputation, is often! The only drawback is you really need to book in advance at World Service, sometimes even 3 days before! There is one very small issue. A hot evening meant the doors onto the terrace/patio were open and this allowed the smell of cigarette smoke to drift in to the restaurant. We booked quite late but they accommodated us in a private room which was great. The food was exceptional for some courses but it wasn't consistently at that very high standard. Still really tasty and good value. Baby changing facilities weren't the best though they did let me use a private room not currently in use for it so I had privacy. Fantastic experience as always. It's been a while since I have been but service excellent and great food. Had a great time, would definitely recommend and would go back. Excellent food! We went the day after our wedding for a celebratory Sunday lunch. As always the food and service were excellent and we were treated like royalty. My favourite restaurant in Nottingham by far. I look forward to going again very soon. Top marks all around, as always. Don't be put off by an image of high prices, it's really reasonable, and the service is spot on. A superb evening, from the welcoming cocktails through the excellent food and the calm ambience of the Blenheim room. A wonderful evening. I took my sister here for a birthday meal and by no means were we dissapointed. Our meals were exceptional and the service was second to none. I would definitely recommend World Service to anyone, the fine dining experience here is out of this world! Overall a good meal, as I would expect having dined here before. Only a couple of things which if addressed would have brought the score up. The poached egg on the starter was underdone for my taste. I like a runny yolk but some of the white was still uncooked - clear & slimy. There was also a typo on the menu - starter said 'tiger prawn' which put one of our party off ordering as she was hungrier than 1 prawn! However, when it came out, there were 4 prawns and she was then disappointed she hadn't had it. The seabass and coconut chicken dishes were both excellent. The chocolate tart was also lovely but very rich. The portions could have done with being smaller - none of us finished it and actually could have easily shared 1 between 2 or even 3 so was a shame to pay for what we coudn't eat. It was the lunch special so good value at £20 for 3 courses. It a nutshell, it was good, but not fantastic. I'd heard so many people over the years praise World Service that I thought it would be the ideal place to treat my friend to a 50th birthday meal. The restaurant is in a lovely old building. The decor, however, is modern and understated, with comfortable sofas in the reception lounge and well-spaced tables in the dining area. The menu offers a good range of choice. Every dish we had was beautifully presented and cooked. The wine list is extensive. Waiting staff were helpful and friendly. The ambience was unhurried and relaxed. Prices are to the higher end of most people's budget, but justified by the overall experience. My Husbands 60th we had the best time ever .... Wonderful place ...service fantastic ..couldnt fault a thing ...What a fun memory. The food was divine. A fairly quiet Saturday, staff as attentive as ever. Excellent value. Amazing light lunch. Both food and service were great! Superb food and a very high level of service. It is expensive (£105 for a meal for 2 with 2 glasses of wine and 2 bottles of beer) but it is worth it. For a special occasion in Nottingham it cant be beat. Fabulous set lunch. Extremely good value for such quality, relaxed yet quality ambience and friendly attentive staff on hand without feeling watched. I will be back soon, of that there is no doubt! EXCELLENT SERVICE. VERY GOOD FOOD, BEAUTIFULLY PRESENTED. A LOVELY EXPERIENCE. Very nice meal, we really enjoyed our meal there, some background music would have been nice. Excellent venue and food will visit again. Excellent food & service. Cocktails are amazing! Excellent food and excellent service from extremely friendly and helpful staff. The Sunday set lunch is great value. Highly recommended. Brilliant service, great cocktails and the food was fabulous! Made my friends day as it was a surprise!!! The set-menu Sunday lunch is excellant value for money. All three courses were delicious. I took my wife for her birthday,and to say the whole experience was outstanding would not do this justice. I would recommend a visit to any serious diner without hesitation. Great food and relaxed but efficient service. Good all round. Every bit as good as I remembered it being. The food was first class, the choice of wine was exceptional and the attentive service was possibly the best I've come across. It's also nice to finally go to a restaurant with a genuine atmosphere! Had a wonderful meal on Easter Sunday with family. The roast dinners (beef) were excellent and a large plateful - unusual for World Service! As usual World Service lived up to its reputation as one of the best places to eat in Nottingham. I find it impossible to find anything negative about this restaurant. We enjoyed an excellent sunday lunch (£18 for 3 courses), great wine, friendly and efficient service; overall the best restaurant in Nottingham! I took a client for the light lunch menu and was blown away by the quality of the food at such a reasonable price. 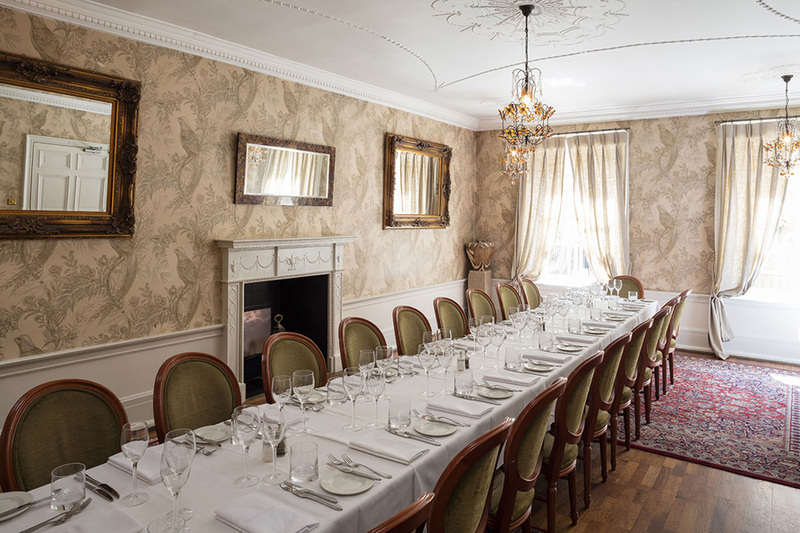 World Service is a fine dining restaurant so the food can reflect that, but for those who perhaps want to enjoy fine dining but like a bargain, the light lunch menu is an absolute winner! Had a fabulous meal with my girlfriend and the atmosphere was great with the restaurant being nearly full, not bad for a Tuesday night! We had a really lovely evening here. The delicious Champagne cocktails on a winter night in front of the roaring fire definitely helped. The meal was great, with pretty decent sized portions, which I like because I'm greedy! The starters were especially good: Yummy Scallops! The waiting staff were really (genuinely) friendly and as mentioned the cocktails are great. It all had a really nice, relaxed feel about it. We have always been fans of world service for the 'service' and the feeling of luxury that it provides. however, we were not quite so impressed this time, we had to wait a long time for our drinks to arrive and our champagne was slightly corked. but still, overall another pleasant meal, perhaps not as good as we have grown to expect from one of our favourite restaurants. The pork dish was excellent and the wine at World Service is great. 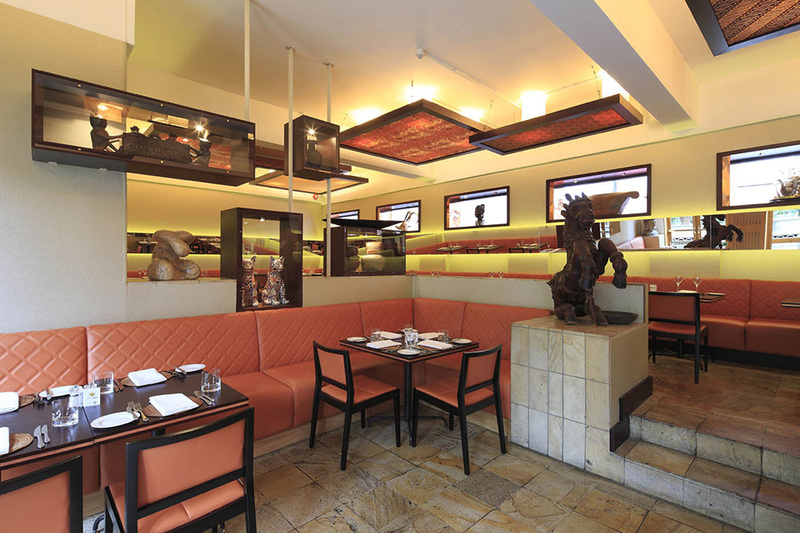 Critically acclaimed fine dining restaurant, blending classic British traditions with an oriental finish. World service has been peppered with accolades since its doors opened in 2000, including recognition in both the AA and Michelin guides. The gourmet cuisine has a gentle East-meets-West theme, that takes inspiration from the freshest, seasonal produce. Dishes are innovative and balanced in flavours, often incorporating wasabi and pickled flavours that provide dishes with an extra kick. 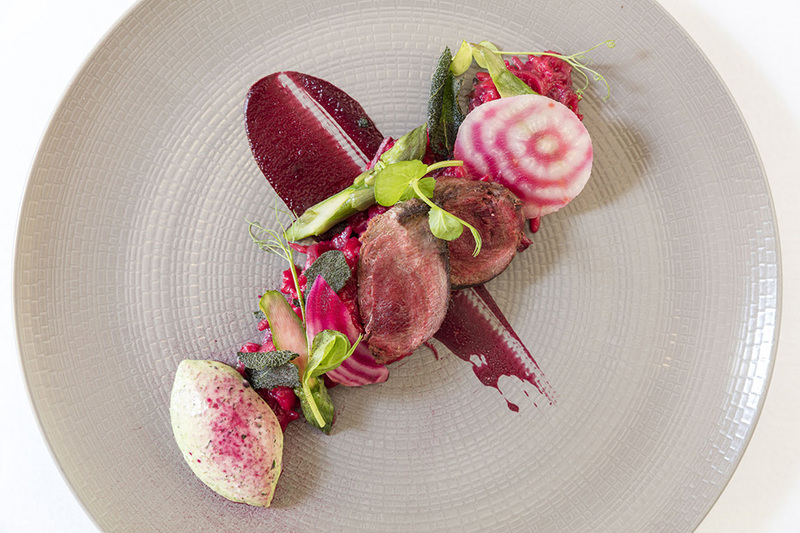 With a lunch menu that changes monthly and a frequently updated A la Carte menu, it is ensured that dishes are made to the highest standard and are sourced from the freshest and most seasonal ingredients. 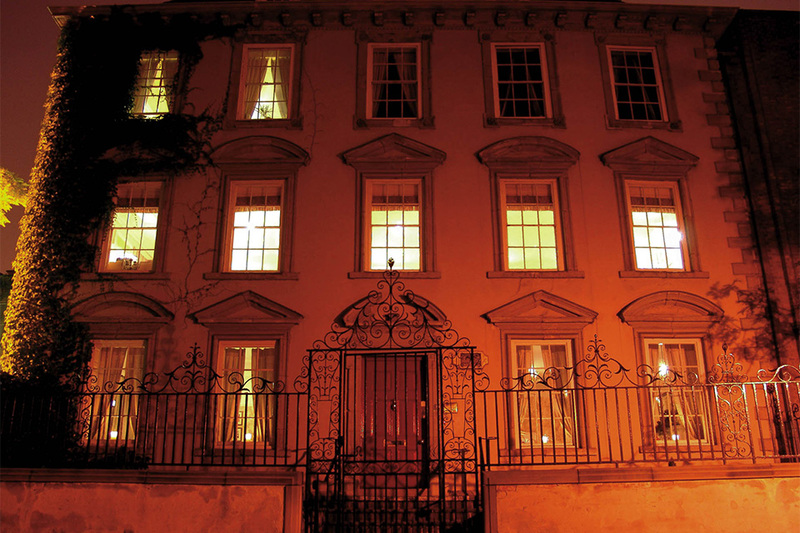 Uniquely housed in the elegant surroundings of 17th century Newdigate House, in Castle Gate, World Service blends the customs and traditions of the building's past and embraces its heritage. Channelling classic British decor and displaying quirky artefacts from around the world it adopts a grand ambience, creating a unique dining experience. 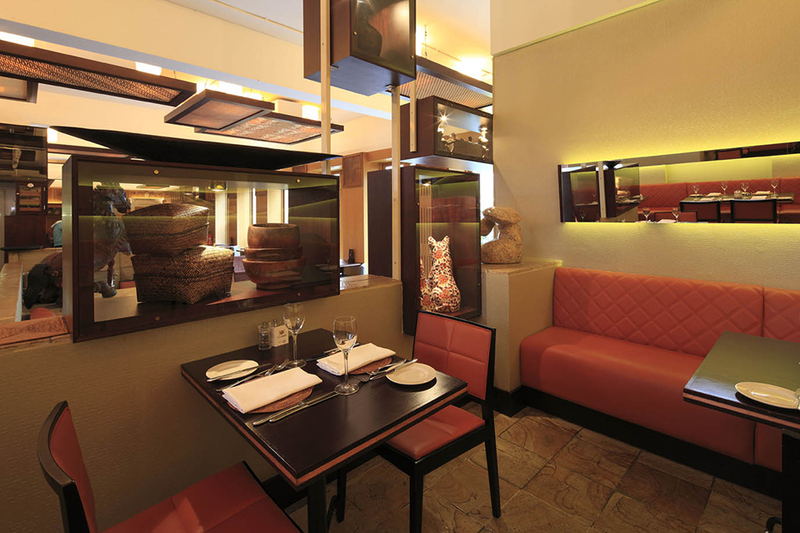 To experiment with world flavours in a fine dining setting, book a table at World Service today. Enjoy a stunning 2 course meal from World Service for just £23.95 per person! Upgrade to 3 courses for £29.95. Set menu changes monthly. This is a very popular offer so booking in advance is recommended. Available evenings Monday-Friday only. 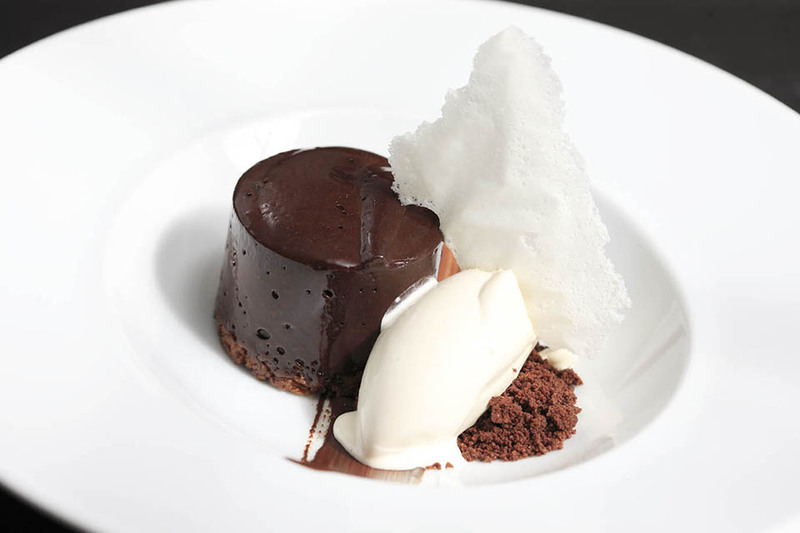 Enjoy a stunning 2 course lunch from World Service for just £19.95 per person! Upgrade to 3 courses for £25.95. Set menu changes monthly. This is a very popular offer so booking in advance is recommended. Available daytime Monday-Saturday only. Enjoy 2 courses of one of Nottingham's finest Sunday lunches in a stunning setting for £19.95 per person. This offer is also available as a 3 course option for £25.95. Please note there is a £3 supplement charge on roast sirloin of beef. This offer is not valid during December. Looking to host a special celebration with friends and family? The group party menu on offer at World Service is delicious and show stopping! These menus are available for groups of 10 or more. Please note for tables of 25+ a pre-order is highly recommended. 25% off Mains - Go dine Exclusive!